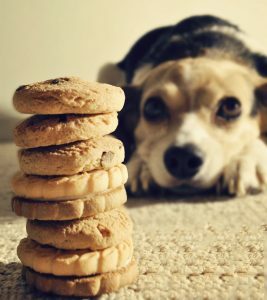 following four tips on how to reward your dog without helping her pack on the pounds. 1. What Does a Little Extra Weight Mean? body when she is 20 pounds than when she was 15 pounds. and play dead, not by treat training, but instead training with affection. that that couch time is because of something she did several hours ago.